I’ll be getting wrecked at the Bay Area Discovery Museum this fall. 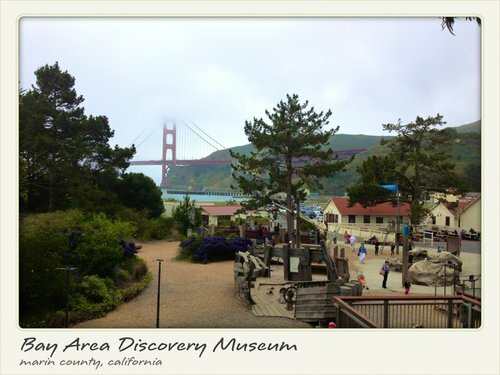 Great news today–I found out that the Bay Area Discovery Museum in pretty little Sausalito, CA has selected me to be their Artist-in-Residence for the Fall! I got something for the fall! I can finally add “artist” to my resume! Look at me now, mom! As the AIR, I will present an interactive site-specific piece tentatively titled The Explorers: A Shipwreck Play. The BADM is awesome and their mission of inspiring creative thinking through play is crucial for today’s kids. 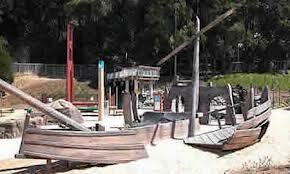 So my fall will be filled with children, pirates and stunning views of the Golden Gate Bridge. There’s a model Golden Gate Bridge that you don’t have to pay $7 to go over at the museum. The rest of my summer will be filled with a trip to optometrist, Outside Lands, probably a tanline from sunglasses, you know the drill. Enjoy your August!